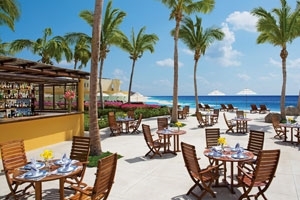 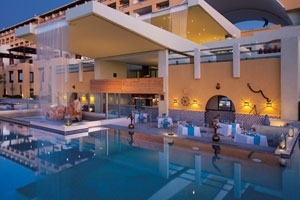 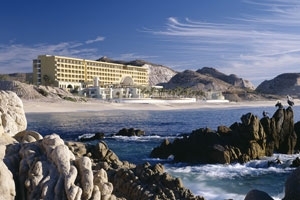 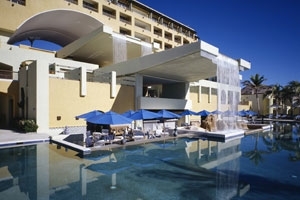 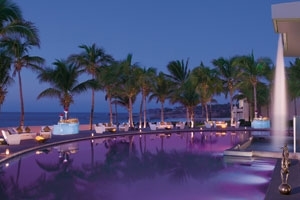 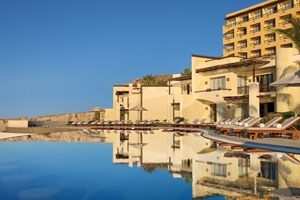 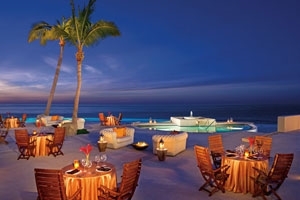 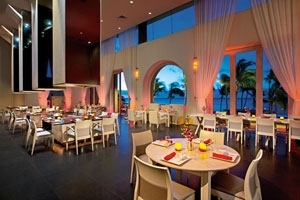 Set on the pristine white shores of the exotic Los Cabos, Secrets Marquis Los Cabos is a marvellous Mexico holiday resort where the emphasis is on luxury. 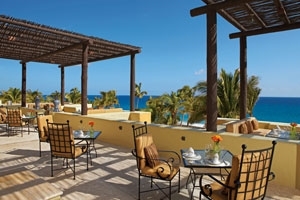 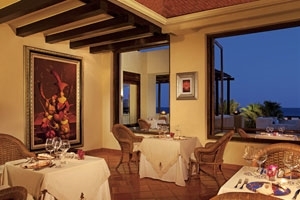 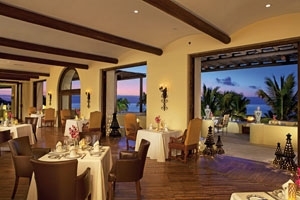 Each of Secrets Marquis Los Cabos’s sumptuous suites face out onto the ocean for stunning views to be admired each morning, while the six gourmet restaurants are certain to have your taste buds tingling. 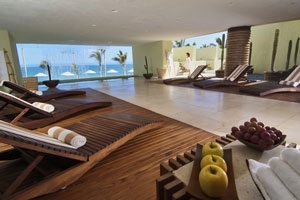 With Secrets’ renowned brand of ‘Unlimited-Luxury’, Secrets Marquis Los Cabos invites you to lavish yourself, whether that entails receiving a treatment or two in the Secrets Spa by Pevonia, relaxing in the sparkling pools or savouring your unlimited premium beverage. 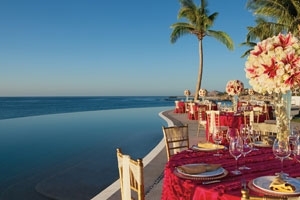 Secrets Marquis offers an all-inclusive holiday experience for adults only set on the coastline of Baja California, 20 minutes from Los Cabos Airport and from the town of San Jose del Cabo. 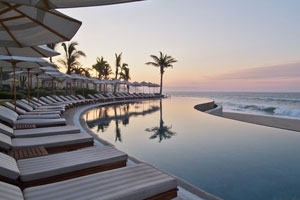 Beautifully located on a stretch of white sands, enjoy quiet moments around two infinity pools that overlook the ocean, or stay occupied with an array of daytime activities from beach volleyball to dance and cookery classes. 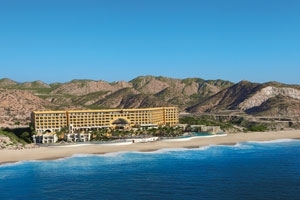 There’s a wide choice of all-inclusive dining and entertainment with the nightlife of Cabo San Lucas also just a 20-minute drive away. 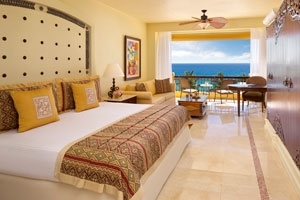 Lavish with contemporary Mexican décor, the suites offer guests quiet privacy, plenty of space and all offer fabulous views of the ocean. 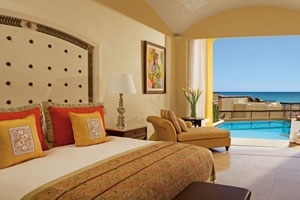 One-bedroom casitas also have their own private pool. 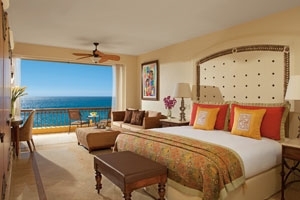 The Junior Suite Ocean View offers guests 60sqm of accommodation space set amongst glorious views that look out over the ocean which can be seen from the private, furnished balcony. 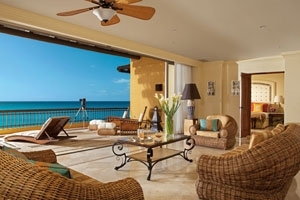 The spacious setting houses a number of quality amenities and comes with an additional sitting area for that extra hint of comfort and space. 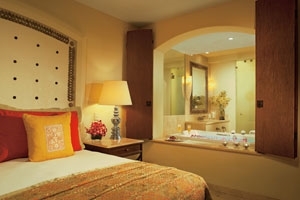 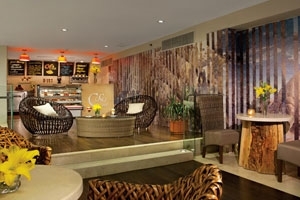 Junior Suites can also be connected to ensure an extra special time for guests. 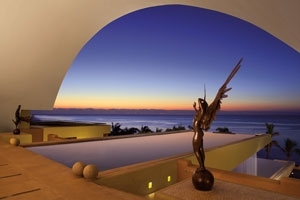 The Honeymoon Suite offers guests 132sqm of accommodation space that, amongst its many luxurious amenities, includes a private plunge pool from the terrace, where guests can relax and take in gorgeous views of the ocean. 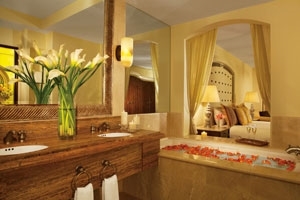 The suite is an intimate yet spacious hub that comes with an additional living room and quality amenities for the perfect romantic setting. 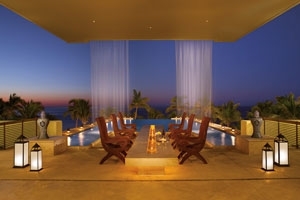 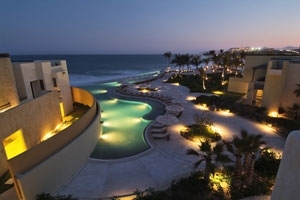 The Private Pool Casita Ocean View offers guests 155sqm of accommodation space that is the epitome of a holiday haven. 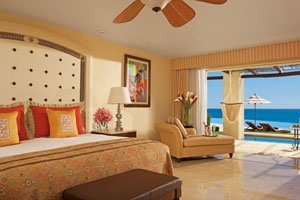 Featuring all the amenities a guest could desire all set within a spacious setting, the room comes with a separate living room and kitchenette to provide guests with creature comforts as well as opulent luxuries. 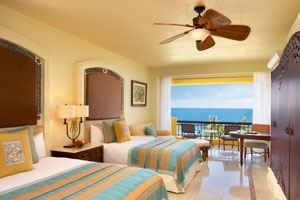 The room is mere steps away from the beach, located near the main pool area and has limited privacy. 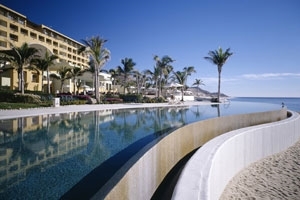 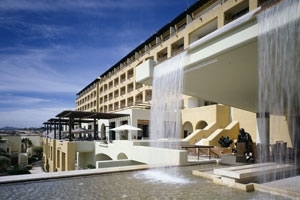 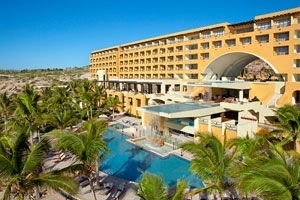 The Private Pool Casita Ocean Front offers guests 155sqm of accommodation space that takes paradise one step further. 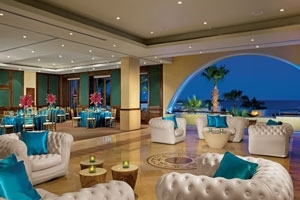 Featuring all the amenities a guest could desire all set within a spacious setting, the room comes with a separate living room and kitchenette to provide guests with creature comforts as well as opulent luxuries. 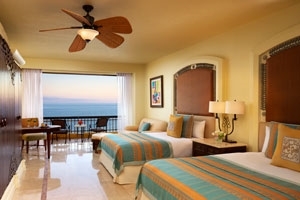 The room is mere steps away from the beach, located near the main pool area and has complete privacy and ocean front views. 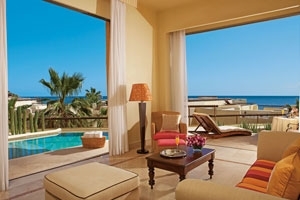 The Presidential Two Bedroom Suite offers guests 242sqm of accommodation space that sits splendidly above the central lobby arch, granting only the most glorious views of the ocean from its supreme vantage point. 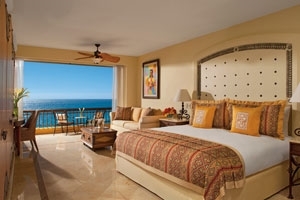 The palatial suite includes a variety of amenities, an additional living room, dining area and large terrace for pure elegance, style and comfort.